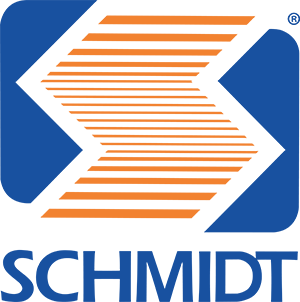 Showcase your corrosion prevention product or services to potential new customers looking to see what resources are on the market. Don’t let your competition get a leg up on making new connections and showing how your product can meet the industry’s needs. Demonstrations will be held outside at the Pasadena Fairgrounds. You’ll have an opportunity to meet attendees in a casual environment as they look at exhibits, and view demonstrations. Additional opportunities are available through sponsorships, to increase your company’s brand awareness and drive attention to your booth. Sign up today to exhibit your product or service at NACE Corrosion Demo Day. To reserve your exhibit space or sponsorship, contact the NACE Sales Department at sales@nace.org or at +1 281-228-6446. 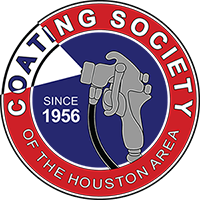 For those interested in purchasing an exhibit booth at the Coating Society of the Houston Area’s Annual Tradeshow, please contact Bill Goulette. Company or Product will be showcased on the Demo Day website. Please submit a minimum photo size of 800 x 600 pixels (jpeg, png or gif) of your product, product name and a short description (not to exceed 50 words). *Utilities are not automatically provided and must be requested by March 15th, 2019. **PLEASE NOTE: Due to safety regulations, companies will not be allowed to spray coatings or blast in 10x20 spaces in the arena area. *Sponsorship must be sold by March 4, 2019. Includes purchase of safety kit items. *Sponsorship must be sold by March 4, 2019. ​*Sponsorship includes production of the bags. Bags will include the Houston Coatings Society logo and NACE logo on one side and the sponsor's logo (1C) on the other side. Must be sold by March 14, 2019. *Sponsorship must be sold by March 4, 2019 to secure event DJ. *Sponsor responsible for providing giveaway item. Sponsor may choose to ship giveaway item to NACE HQ by April 2, 2019, or sponsor can choose to bring to conference for distribution. *Sponsorship does not include production of 200 business card cases. Business card cases must be approved by NACE and must be shipped to NACE HQ by April 2, 2019 or sponsor can choose to bring to conference for distribution. *Sponsorship does not include production of 200 lanyards. Lanyards must be approved by NACE and must be shipped to NACE HQ by April 2, 2019 or sponsor can choose to bring to conference for distribution. *Sponsorship does not include production of pens. Pens must be approved by NACE and must be shipped to NACE Headquarters by April 2, 2019 or sponsor can choose to bring to conference for distribution.